To delete your account click the 'Settings' page at the top of your dashboard. From here go into 'Your Settings'. Once into 'Your Settings' scroll down to 'Subscriptions' and 'Delete Account'. 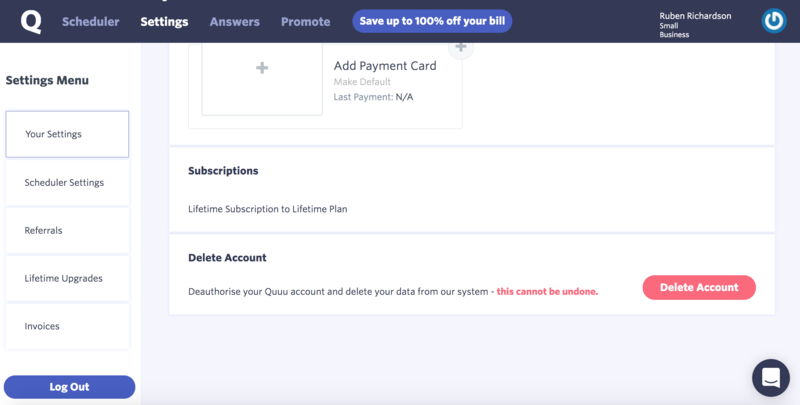 'Subscriptions' allows you to change the level of service you receive from Quuu, whereas 'Delete Account' will irreversibly remove your account and all of your details. If after you have done this you would like to discuss issues surrounding refunds please get in touch with one of our team on chat or via email. 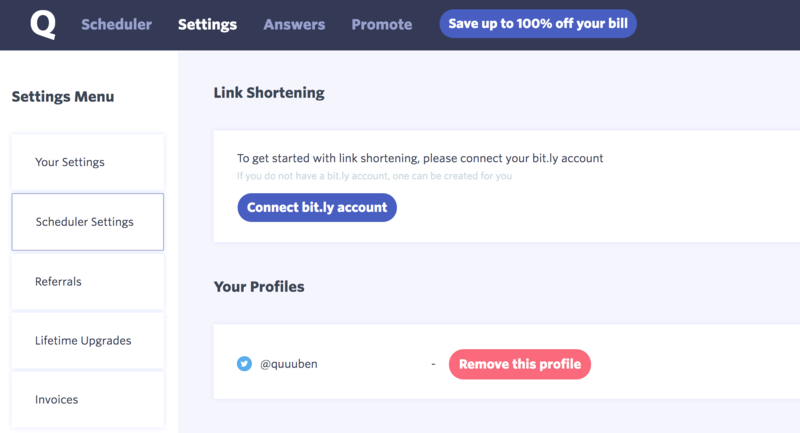 Alternatively, if you just want to remove a social profile from Quuu, go to 'Settings' > 'Scheduler Settings' and you will see the option to remove profiles that you no longer need. If there is anything else that you would like to know about don't hesitate to get in touch.